Casting Call Club : Anime Drama CD! Voice Actors/Actresses Needed! Casting Call for Anime Drama CD! Voice Actors/Actresses Needed! Anime Drama CD! Voice Actors/Actresses Needed! About Anime Drama CD! Voice Actors/Actresses Needed! I’m looking for voice actors/actresses for my Anime Drama CD (Faded Cross). This is non-paid. If you’re interested, please feel free to audition! I appreciate the interest and help! Below you’ll find links to the YouTube Channel and the first episode of this Drama CD along with a summary of the story. Thanks! Hotaru Yukimura is an introverted college student that lives with her brother’s best friend Hei Nishimura. One day she finds out that she’s put on academic probation and has been taken out of school until she can appeal her case. While trying to get back into school, Hei decides to find a second job along with a job for Hotaru for the time being. By chance Hei’s first client as a limousine chauffeur is Nari Inihara, the manager of Faded Cross member Gi Hamasaki. Hei and Hotaru are given jobs as Gi’s chauffeur and bodyguard. 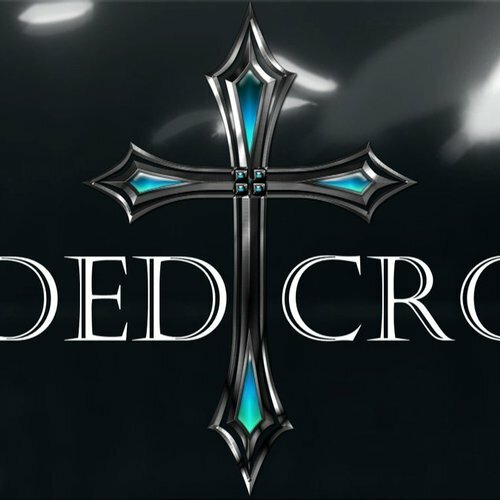 Faded Cross is a popular group consisting of five handsome young men. They have taken over the music industry in the two years they have been together. Unfortunately, they are disbanded in order to create a competition between them in order to see who can win the position of best idol at the end of the one year deadline. All five members have no choice but to compete, the winner wins the fame and continues his career, while the other four are dropped from the record label and are never to work in the industry again. Gi Hamasaki hates the whole idea of competing against his friends, but is persuaded by Nari to do his best. Along the way Gi becomes closer with Hotaru to the point that he slowly starts to fall in love with her. Hei doesn’t like this since he also has been in love with Hotaru and her split persona Yori. What will be the end result for everyone? Will Gi Hamasaki win the competition? Will romance arise? Female Photographer is in her late 20s. She's very passionate about her work and loves to take amazing pictures. She's friendly, professional and energetic. You’re doing great Gi! I’m loving this! Although, it would be nice to take pictures of you with a female partner. The body guard? Sounds interesting. Alright! Get her make-up, hair and outfit done! Female Interviewer is a reporter in her late 20s. She's kind, professional and cheerful. Thank you for joining me today Gi. I feel honored to be interviewing you. I want to know, what are your plans to win this competition against your former group members? Male Interviewer is in his mid 30s. He's not very kind, strict and professional. During this interview, he's not very excited to be interviewing the main character so he sounds a bit harsh and monotone. So Gi, how is this competition going for you? Do you think you have what it takes to win this? Do you think you’re just another pretty face and body that draws in hormonal teens? Female Reporter is in her mid 30s. She's an entertainment news anchor who is cheerful and upbeat. Well let’s take a break from talking about Jin for a moment. Today, Gi had a meet and greet with his fans that went well, Jae was a guest on Himori’s Radio Show, Shin had a live video broadcast and Q&A with his fans and Hyo made an appearance at a local family owned restaurant. Male Reporter is in his mid 30s. He is an entertainment news anchor and he enjoys his work when it comes to the gossip and latest news about celebrities. He's energetic and upbeat. Those were great ways for them to get support, but they can’t compare to Jin’s hot relationship revelation with Chigusa Kategawa! I mean, just look at the popularity scale! Hei is 24 years old. He's a very caring and responsible young man who secretly loves the main protagonist. He's friendly, professional, and hard working. His voice should be low to medium range. The bathroom’s free if you need it. Is that the music video DVD Kotaro bought for you? (sad) I’m scared that Hotaru might be interested in Gi.